In the 1960s, Elizabeth Taylor’s affair with the married Richard Burton knocked John Glenn’s orbit of the moon off front pages nationwide. Yet, despite all the gossip, the larger-than-life personality and influence of this very human woman has never been captured. William Mann, praised by Gore Vidal, Patricia Bosworth, and Gerald Clarke for Kate, uses untapped sources and conversations to show how she ignited the sexual revolution with her on-and off-screen passions, helped kick down the studio system by taking control of her own career, and practically invented the big business of celebrity star-making. With unputdownable storytelling he tells the full truth without losing Taylor’s magic, daring, or wit. 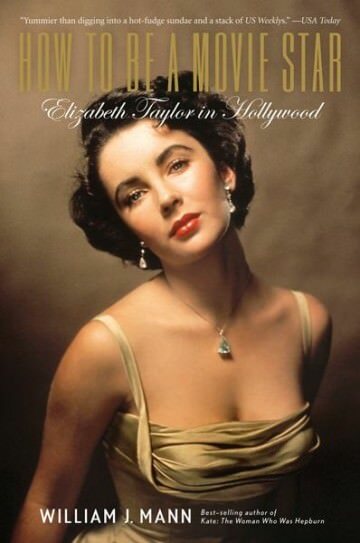 Readers will feel they are sitting next to Taylor as she rises at MGM, survives a marriage engineered for publicity, feuds with Hedda Hopper and Mr. Mayer, wins Oscars, endures tragedy, juggles Eddie Fisher, Richard Burton and her country’s conservative values. But it is the private Elizabeth that will surprise–a woman of heart and loyalty, who defends underdogs, a savvy professional whose anger at the studio’s treatment of her led to a lifelong battle against that very system. All the Elizabeth’s are here, finally reconciled and seen against the exciting years of her greatest spirit, beauty, and influence. Swathed in mink, staring us down with her lavender eyes, disposing of husbands but keeping the diamonds, here is Elizabeth Taylor as she was meant to be, leading her epic life on her own terms, playing the game of supreme stardom at which she remains, to this day, unmatched.